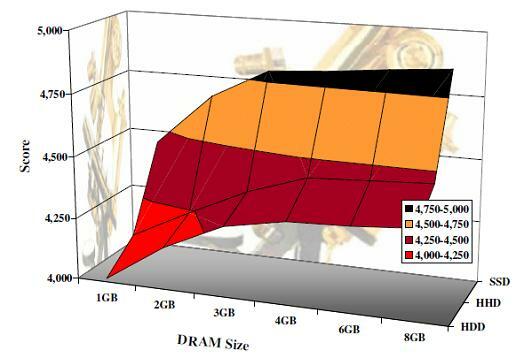 DRAM growth was driven by PC sales, but that is about to end. Benchmarks prove that NAND yields more speed per dollar than DRAM. 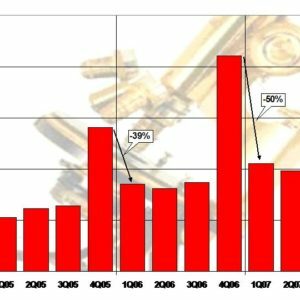 This study explains how NAND will displace DRAM in PCs, leading to a steady decline in DRAM revenues. 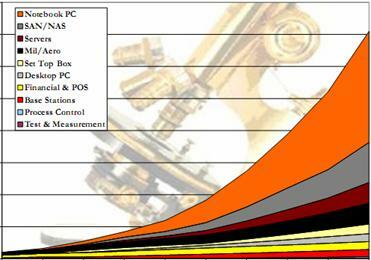 Since the 1980s PCs have driven steady DRAM bit growth of over 20% per year. That is about to come to a sudden halt. Objective Analysis has run a series of 288 standard PC benchmarks testing performance over a range of DRAM and NAND capacities, and has found that a dollar spent on NAND already yields a greater performance boost than does a dollar spent on DRAM. This performance gap will widen as software is optimized for this architecture and as NAND prices continue to decline at a faster rate than DRAM. This report analyzes those benchmarks in detail to determine how NAND and DRAM will interact in the PC both today and over the next five years, and concludes that DRAM growth will be significantly slowed by the greater benefit of adding NAND to a PC. 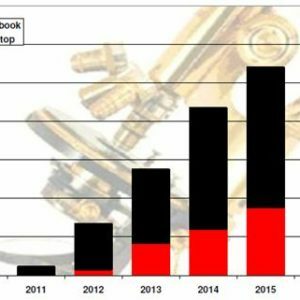 DRAM and NAND forecasts illustrate the declines that will plague DRAM bit growth and revenues as well as the incremental growth in NAND stemming from its adoption in PCs. The report’s 50 charts include plots of all of the benchmark results and explanations of other important trends that will drive this phenomenon over time. Readers will learn how and where NAND has already proven to offer better performance improvements than DRAM, will learn how future developments will reinforce this phenomenon, and will understand why this will cause NAND to be adopted in PCs at the expense of DRAM market growth. 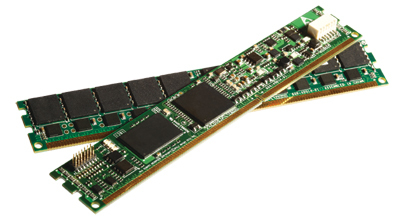 Those who make, buy, sell, or invest in the DRAM market can use this report to develop strategies to avoid complications and business losses that might otherwise result from this market shift.